Home > Ask Our Experts > Are There Any Grants to Help with Retraining After Redundancy? I have decided to retrain as an Electrician after being made redundent from my IT role on the 31st March. I have entered a job based course, I do home learning for a couple of months then they help place me into a role as an Electrician's mate on approx. £14k a year. I then continue to do the course at home on my time off, the cost for this is £5400. My question is am I able to get any help i.e. grant/low cost loan etc to help me in any way? I'm afraid that the funding options for those training to be an electrician after the age of 20 are limited. School leavers and those that choose to study at university can often access grants and student loans that will help them fund a course. However, unless you are studying at university or are setting up your own business, you are unlikely to find someone willing to partially fund some or all of your studies. There are a number of loans and grants available to your employer which can subsidise your training, but these will normally be offered on a generic basis. So if your employer does receive a grant it will be so they can afford to take on more recruits or apprentices and you may not directly see the benefit of this. You do have the option to take out a loan, but again, unless you are studying at University you will not qualify for a higher education loan. Once you have signed up to a firm or course it is quite hard to then apply for a grant or bursary. Sometimes if you speak to an electrical firm and they are confident they want to employ you as an electrician after your training they will sponsor you to do your training. Depending on who you bank with you may be able to negotiate some form of studies loan. There are a number of loans available to people whose professions are regarded as professional and you will need to check whether your circumstances match their criteria. Sometimes the agency or the firm that you are training with will offer low cost loans to help fund the electrician course. You should speak to the people who you have signed with as to whether they have this option. They would normally work in a similar way to if you buy a television and pay the store back in instalments. There are a number of loans and grants that are available to those that wish to start up their own business, so this is one option to look at once you have finished your training. You mentioned that you have been made redundant, unfortunately your best option may well be to use some of your redundancy money to fund your electrician training and if you get stuck maybe take on a part time job to make up the extra cost. Been made redundant is there re-training grant available for gas certificate ive trained as a plumber,plus could I also get a grant for A1motor bike test. Mayby do some courier work? My role was made redundant last June.I decided to take some time out to reevaluate my career and started actively looking in Sept.last year.I received outplacement support as part of the redundancy package and started this in the new year and have taken part in many courses and coaching sessions etc. I have not made a claim for JSA at all believing I was not entitled for 6 months but I now understand from one of the outplacement advisorsthis is not the case and I was entitled to claim from the point ofbecoming redundant, is that correct?Someone has also advised me that due to my level of contributions paid I am am entitled to claim. qu's can I backdate a claim? at what point was I able to start a claim? am I able to pay NI contributions for the time I wasn't actively looking for work to ensure there is no gap in my NI payment? first time I have had to consider this for many, many years and its all rather new and daunting. 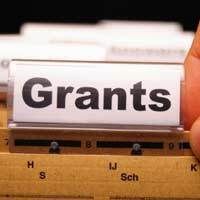 There are very few grants available in bookeeping, you may wish to see if you can find out more information via the National Careers link here. and for small businesses here. I hope this helps. @Magpie- it depends whether they are acting within the law. You should really speak to ACAS about this via the link here. I hope this helps. Can firms give you redundancy notice let you serve that notice period Then keep deferring your notice on a weekly basis in the hope of forcing your hand to leave with out your redundancy package ? Made redundant fro Honda, interested in NEBOSH certificate in Health & Safety-costs £840, for an online course.Is funding available?? I was mad Redundant a while back and have nit since been able to find a f/t job in a particular field, with out the right qualifications. I have gained one of them TAQA Assessing, I need help finding the second one and have been having real trouble getting it, the courses themselves are available but why the hell can anyone fund me, is it because I am unemployed, what's the problem with that, I want to change my career and this is what I need to do it, So will someone please get back to me and help me with this please. Iam a 56 year old house painter,which i cant do no more due to having both shlouders operated on this year. Are there any retrainning avable to me for retraining. I was made redundant in august, and I am interested in undertaking a tefl course. Is there any funding available?